From 19th January 2015 we're increasing our Sunday service between Torquay, Totnes and Plymouth to every hour. 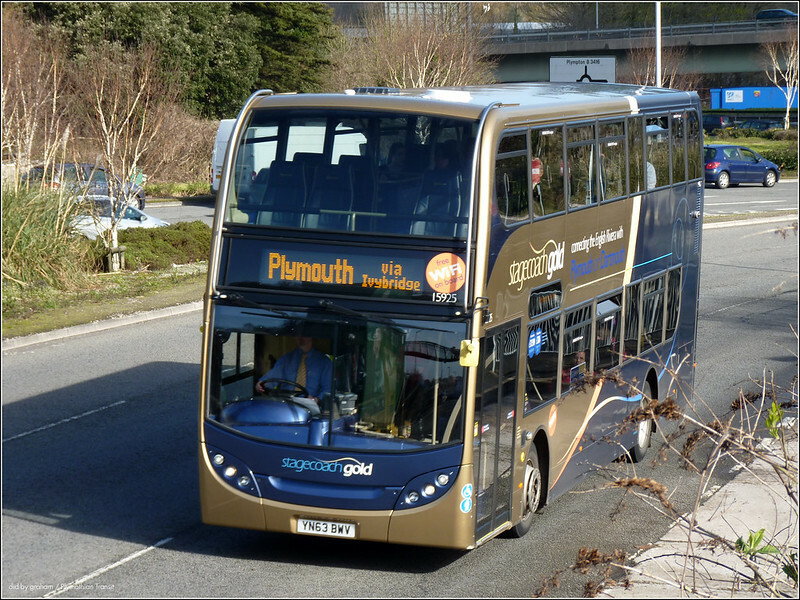 Stagecoach Gold will also no longer serve Dartmouth. Instead customers will be able to use our X64 service which will also provide an additional link direct to Exeter. 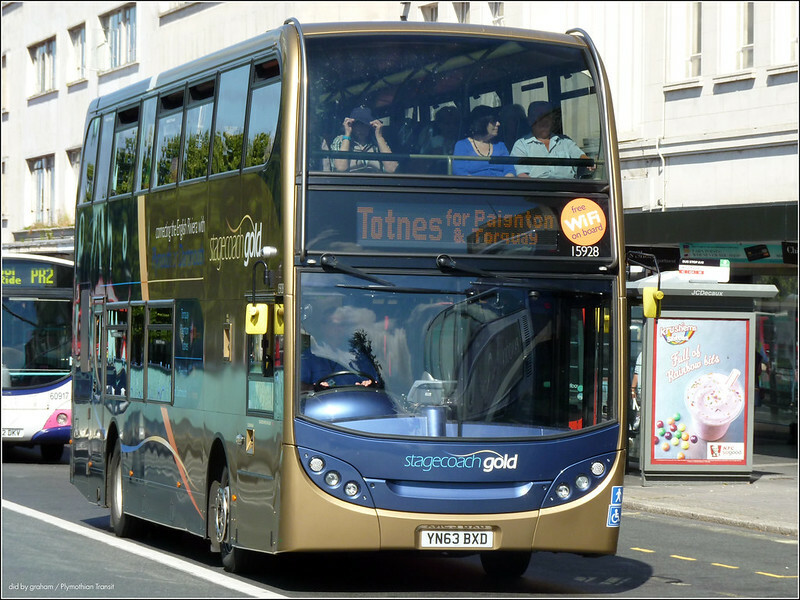 The revised Gold route will also no longer serve Dukes Road in Totnes. Customers can continue to catch Gold from Higher Westonfields which is a short walk away and local community operator, Bob the Bus, will still operate along Dukes Road. New timetables will be available shortly. today at derriford roundabout i seen a plymouth city transport leyland in a blue and white livery. do you know why it was out by the hospital today?